I put the last stitch into the quilt top today! Yippee!!! I am so glad to be finished with this one. I hit a rough spot when it came to adding the sashing around the blocks. 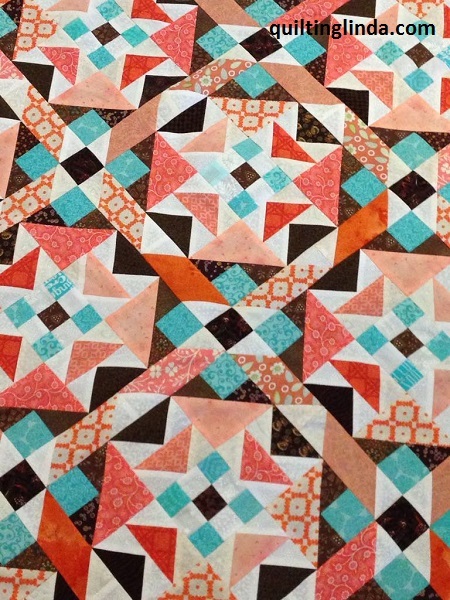 I was ready to move onto something new but I would’t let myself start a new quilt until this top was finished. This past week I started working on it and it was enjoyable again. Sometimes I just need a break from a large project. I read that there are 3339 pieces in the quilt. I haven’t counted so I will go with that number. It just so happens to be my old house number. 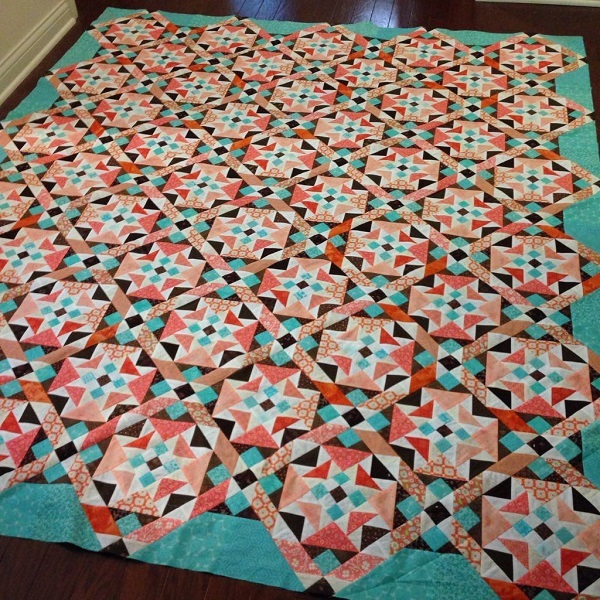 Although I haven’t started a new quilt since I began working on this one, I have made some blocks in two sew alongs this year. I am doing the Women of the Bible (see my first 4 blocks here) and also the 1930s Farmer’s Wife Sampler. 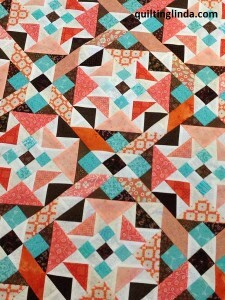 Two new blocks for the WOB were posted this week and I cut out and sewed them today after finishing the mystery quilt. I started blocks for the Farmer’s Wife quilt in 2015 but only made 3 blocks. I broke down and ordered Marti Michell templates to help speed the cutting process for Farmer’s Wife. I am using my 1930s reproduction fabrics for this quilt. I will posted more about this quilt along later. This is a closer view of the mystery quilt. Bonnie is having a link up party on her blog. 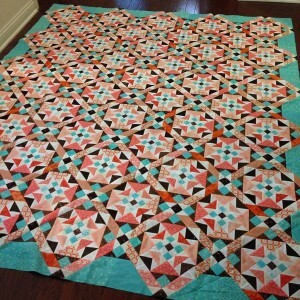 To see the mystery quilts others have made click here. That’s a huge project, but the end result if just lovely! You’ll enjoy this for years to come.